The last tranche of 18 homes at the $90 million project are expected sell-out by Christmas. said the company had held off on the final release in order to let construction catch up. “There was a flurry of sales earlier on in the year following the previous release of homes in March,” he said. “We’ve been in the enviable position of having our sales momentum outstrip construction progress; with some people waiting up to 12 months to get into their new homes. Building contractor Ausmar Homes has powered ahead with construction since March, allowing Halcyon to present the final release, to be known as the Grand Finale Release. Dr Geissmann said a Christmas sell-out would mean the project’s 170 homes had been snapped up within a two-year period. “It reflects the fact the Sunshine Coast property market has really gained traction over the past couple of years and that the Halcyon brand is resonating with buyers,” he said. 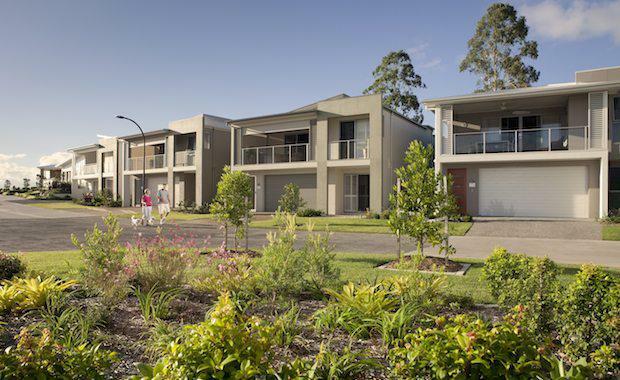 Mr Geissmann said the sales success of Halcyon Landing augured well for the community’s sister project, Halcyon Glades at Caboolture North, which has just launched its second release of homes. Homes in the Grand Finale release at Halcyon Landing are priced from $494,000 to $714,000 and range in size from 174 square metres up to a substantial 266 square metres. All homes at Halcyon Landing feature eight-star energy ratings, estimated to save home owners collectively around $3 million on their electricity bills over the next 20 years, and solar panels which allow them to reap a return on unused energy credits. The project’s centrepiece, the $3 million Recreation Club, features a cinema, games room, dance floor, bar, gym and library among other facilities. It forms a key part of the exclusive community’s leisure precinct which includes a championship-size bowling green, flood-lit tennis court, swimming pool and spa, walking trail and extensive environmental parkland. Halcyon’s financial model means home owners do not pay exit or deferred management fees, making it a revolutionary template for the retirement sector. Halcyon Landing was awarded Australia’s best for Seniors Living by the UDIA in 2014.